My Sundays are usually reserved for lounging around--watching morning cartoons, noon-time variety shows (or CSI marathon on AXN), and falling asleep (again) in the afternoon. But as I have been doing way too much of that already during the weekdays, it was a blessing that everything just fell right into place come last Sunday. I had so much things planned that I couldn't have been any happier about it! Being a natural semi-workaholic who enjoys having things to do, places to go, and all those things, I can only take in so much "bumming around" before I actually start becoming restless and yearn to go get things done. 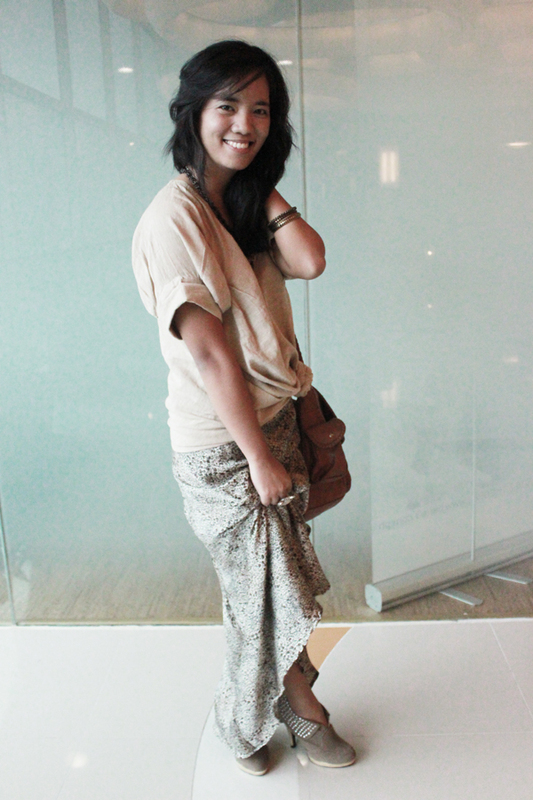 Jumping from one place to another with the unpredictable Philippine weather, I still wanted to keep up with one of Fall 2011's Most Wearable Trends, as seen on Glamour, the maxi skirts and cozy sweaters! I think this look is very comfortable and gives the wearer more freedom to move. It was a gloomy day, but I had to, of course, add a little twist to my take of the trend as it would not seem to work in my favor if I wore a sweater because mister sun is just as moody as us girls (during that time of the month) and might decide to show up at any time during the day. 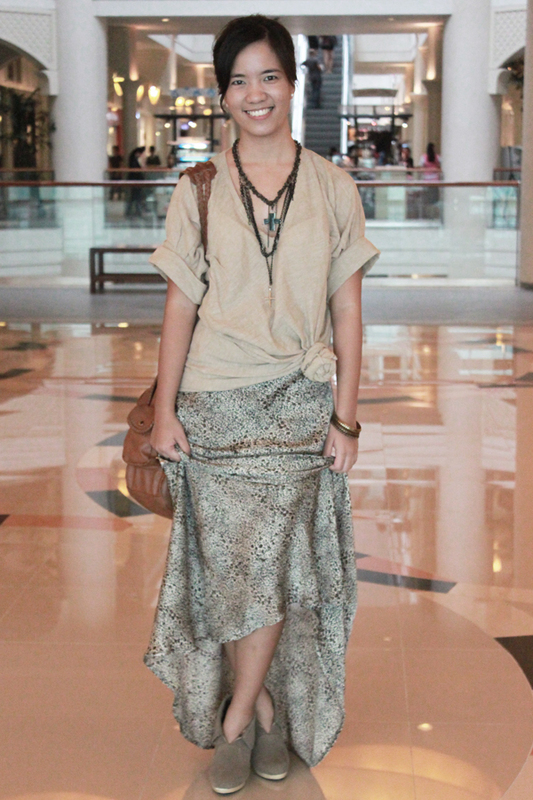 I opted for an oversized sack top and transformed my leopard maxi dress into a skirt instead. 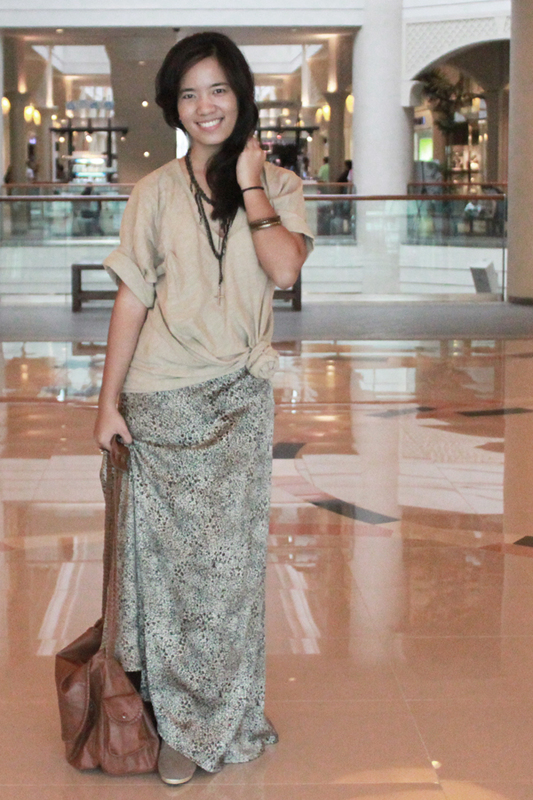 Thank you so much to my bebeh Alyssa for taking my outfit photos! I really have an affinity for oversized tops! The lightweight fabric of the skirt made it really easy to move around in; plus, its flow just made me want to do some random twirling whilst people stare and wonder, "What is this leopard lady thinking?" Okay, not really... but you can only imagine that would be their reaction to that awkward situation. And, as always, I could never leave my neckline bare especially if I'm wearing a plain top. 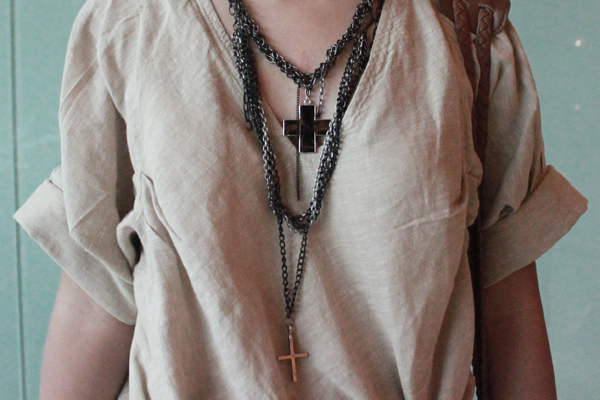 So to edge it up even more, I layered two of my (long lost) cross necklaces from Anagon Collection (short) and Style Scene (long). I thought I lost them, but apparently I just forgot that I stored them in one of my bags - probably when I did a quick outfit change. 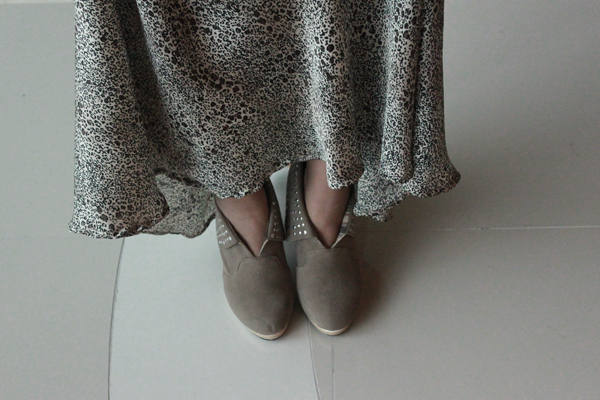 This is only the second time I wore these studded suede booties! I completely forgot I had them until I opened one of the shoe boxes while cleaning my room and got surprised by these babies. 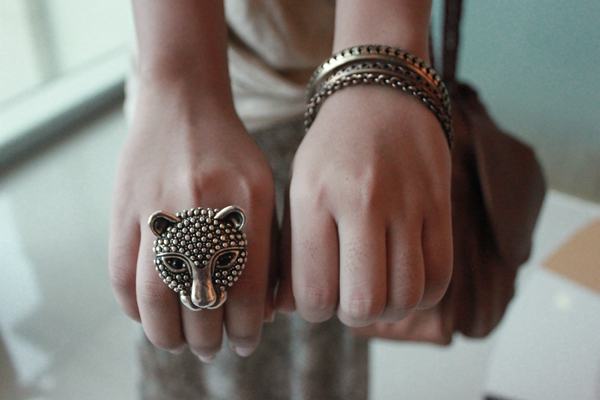 I had minimal arm candies today, for a change. My hands also look weird in this photo, but oh well. Tomorrow will be another full day for me as I will be claiming my toga, attending the baccalaureate mass and having our graduation practice. Countdown to graduation: only four (4) more days to go! DON'T FORGET TO JOIN MY FIRST GIVEAWAY! happy graduation, twin! super proud of you! I love those shoes. The little metal studs on them are great!